Thanks to TopSpeed for this little beauty. 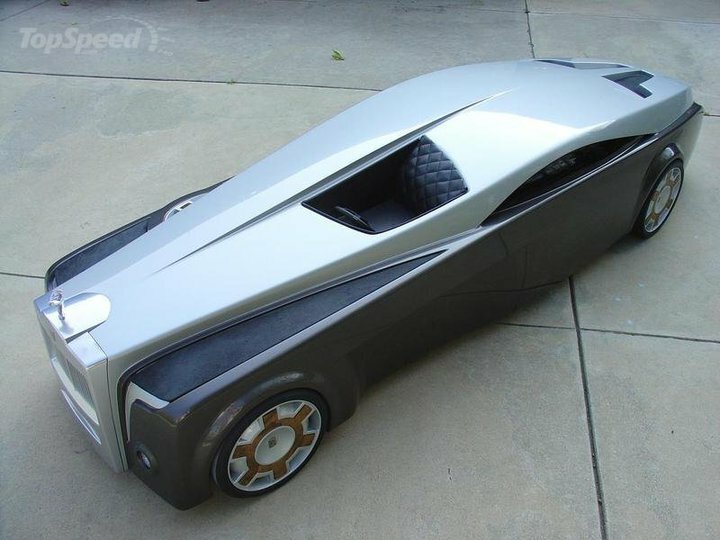 This is a 1:4 scale modle of a concept Rolls Royce that keeps the passengers pretty hidden from anyone. They want to keep the "chauffeur" tradition alive since the decline of drivers have made a plummet. Keep in mind, this is just a concept and will probably never see production. But that is why there are concepts, its an idea for the future to base other line ups off of.